In 2010 I visited our San Francisco showroom. Since I had been aspiring to develop “green” products, I asked our salesperson, as I often do, what kind of green product they sell and how they sell it. The showroom salesperson showed me a pile of fabrics she had set aside to recommend when a client asked for a green product for her home. It was a pile of natural fiber material, heavy on the linen side, but very few samples had any writing or labels telling their green stories. 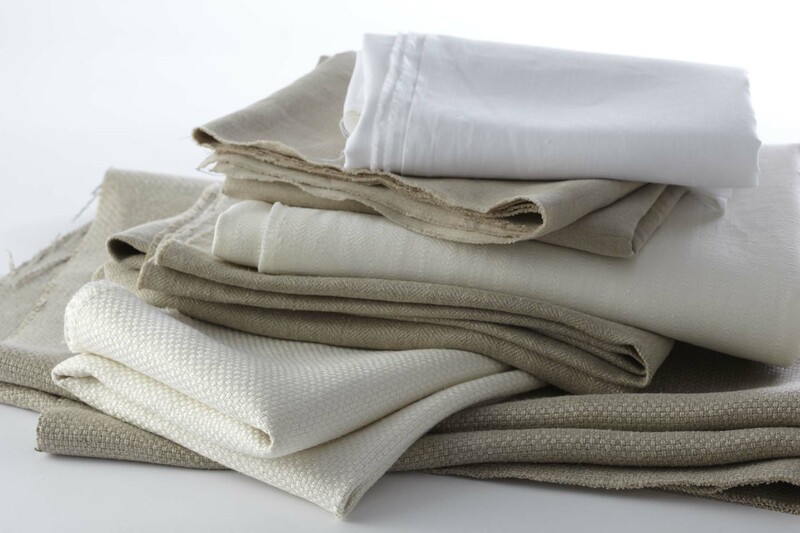 I was actually puzzled by her selections until I realized that people respond more to the fiber than to any certification for the concept of “green.” That is why I set out to develop a third party certified eco-friendly linen for our Back to Basics collection. I am sure the understanding of “green” has evolved since then. Although the fervor over green textiles has waned a little because of the tough economy, concern for the environment is still in many people’s minds. Continuing to research green textile technology will always be my aspiration. You are currently reading Linen as a Green Textile at Woven-Words.